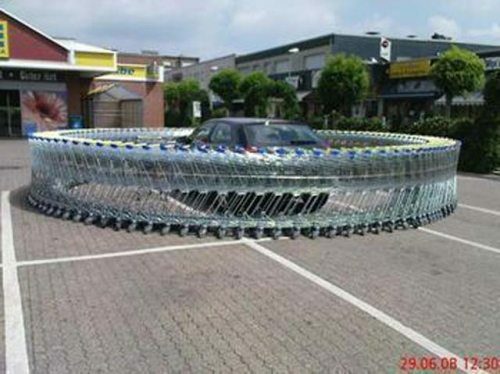 32 Pranks That Are Equally Awesome And Awful. Only Truly Evil People Would Play One Of These 32 Tricks... LOLOL, Wow. There's nothing quite like a good prank. Sadly, that's something these folks had to learn the hard way. Finding a way to bring joy to people's lives is a great goal to have, even if it's at someone else's expense (even a little bit). Maybe you can take some inspiration from their hilarious misfortune, especially #11. After all, Halloween is right around the corner. 1. The furniture is alive, and it's looking for revenge. 2. Nothing like scaring the hell out of fishermen. 3. That will certainly wake you up. 5. "We come in peace." 6. "I am box monster!" 8. Now this prank will mess with your head.